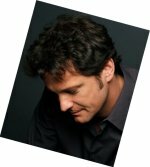 Colin Firth was born on 10th September 1960 in Grayshott, a small town in the region of Hampshire, in the south of England. His grandparents were English missionaries working in India. His parents are academic teachers: father David is a lecturer in American studies; mother Shirley is a doctor of comparative religion. He has two younger siblings: sister Kate trained as an actress, but now is said to be a voice coach and a counsellor; brother Jonathan is also an actor. Colin spent part of his childhood abroad, in Africa and USA, where his parents worked. On return to Hampshire, Colin was not very happy at school and rebelled against learning things which he considered of no interest to him. He failed his school exams and did not continue beyond his compulsory education. He had his first taste of acting as a child when he appeared in a school play. He soon discovered that he enjoyed acting, which seemed to be the only thing for which he was praised - according to his own recollection. As a result, from the age of 14 he was determined to become an actor. After school, he went to London where he found work as a stage door keeper at the Shaw Theatre and a workroom assistant at the National Theatre. He also attended the National Youth Theatre and finally managed to enrol with the Drama Centre, one of the renowned London drama schools. (Drama schools in Great Britain accept students purely on the strength of their abilities.) In the course of his drama studies, he played the title roles in Moliere's "Tartuffe", and Shakespeare's "King Lear": and in his final year in1983 he attracted such attention with his interpretation of Hamlet, that he was immediately engaged to appear in a production of the play "Another Country" in the famous theatreland of the London West End. He also appeared in the film version of that play. A steady flow of work followed and Colin quickly became known as a wonderfully gifted and reliable performer. Whilst the cinema remains his most prolific medium, his most powerful roles have so far been in television drama (particularly Tumbledown and, famously, Pride and Prejudice) and all his rare theatre appearances have achieved top accolade. His personal life became somewhat complicated when he fell in love with his "Valmont" co-star, Canadian actress Meg Tilly. They lived together near Vancouver in Canada for some years and have a son, William. But Colin returned to England around 1993 and Will now lives with his mother in Los Angeles. Nevertheless, Colin is known to take his fatherhood extremely seriously and insists on contact with his son as often as possible. Colin also had a well publicized personal relationship with Jennifer Ehle who played Elizabeth Bennet in Pride and Prejudice, but apparently they were not well suited together in real life, and parted about a year later. In 1995, whilst filming "Nostromo" on location in Colombia, Colin met and fell deeply in love with an Italian lady, Livia Giuggioli, 9 years his junior, who was working for the Italian co-producers of the program. They married in Italy in 1997, live in London and have two sons, Luca and Mat(t)eo, born in 2001 and 2003 respectively . Colin is reputed to be straightforward, modest and level-headed. He dresses casually, is wary of fame and shuns excessive publicity. He says he has no other hobbies besides acting and family life, but it is known that he also likes to relax listening to music, he plays guitar and he also reads a lot. He is known for his social concerns and action in support of refugees and African tribal people. More recently he has emerged as a talented writer: his well received short story "The Department of Nothing" was included in an anthology "Speaking With the Angel" edited by writer and personal friend, Nick Hornby (author of "Fever Pitch"). Those who have met Colin personally, describe him as well mannered, kind, considerate, amusing, with a great sense of humour, and extremely good company. His personal magnetism attracts many people, men and women of all ages, who sincerely admire him and his many talents.